In this recipe will show how to make a simple chicken saag in three easy steps. This rich main dish from the Indian culinary tradition proves that you can still have a healthy diet without giving up on taste. In fact, this chicken saag recipe comes in at under 400 calories and is ready in a little more than 30 minutes . 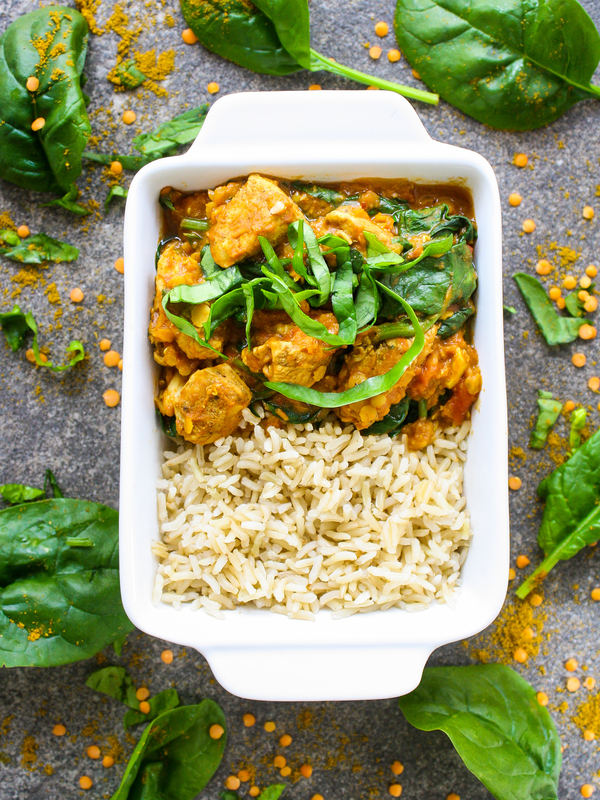 This recipe is a classic curry chicken meal with spinach, perfect to enjoy with wholegrain basmati rice or naan bread. 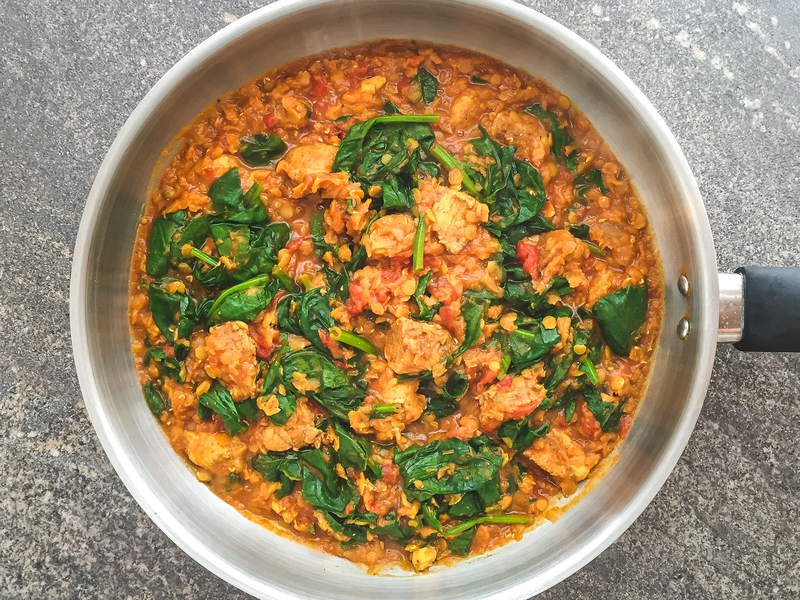 The chicken is sauteed with a blend of curry spices and stewed with lentils, tinned tomatoes and spinach until thick and creamy. As we have prepared this easy Indian recipe with just a few tablespoons of vegetable oil instead of cream and butter, this simple chicken saag is healthy and nutritious, perfect for dairy-free and gluten-free diets ❤️. 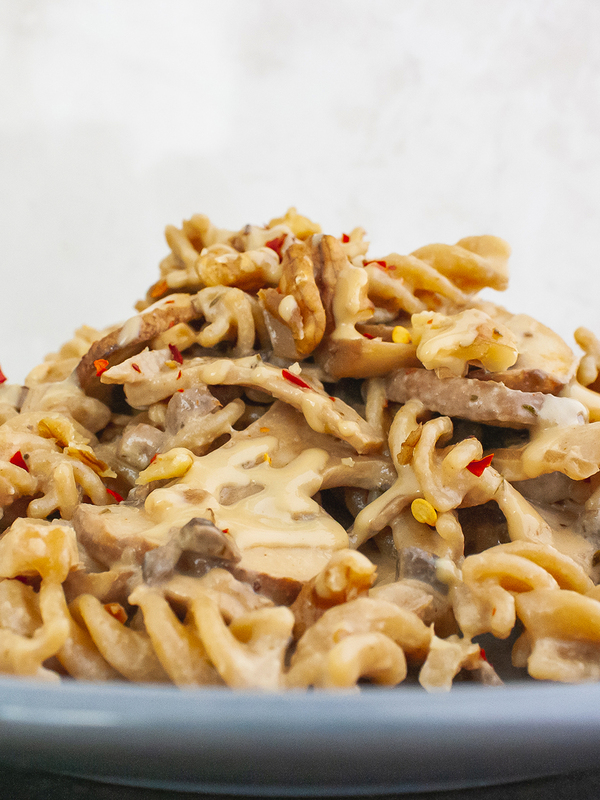 It’s the perfect choice if you are looking for a high-protein and high-fiber dish with a great. In a large saucepan, heat the sunflower oil with the chilies. 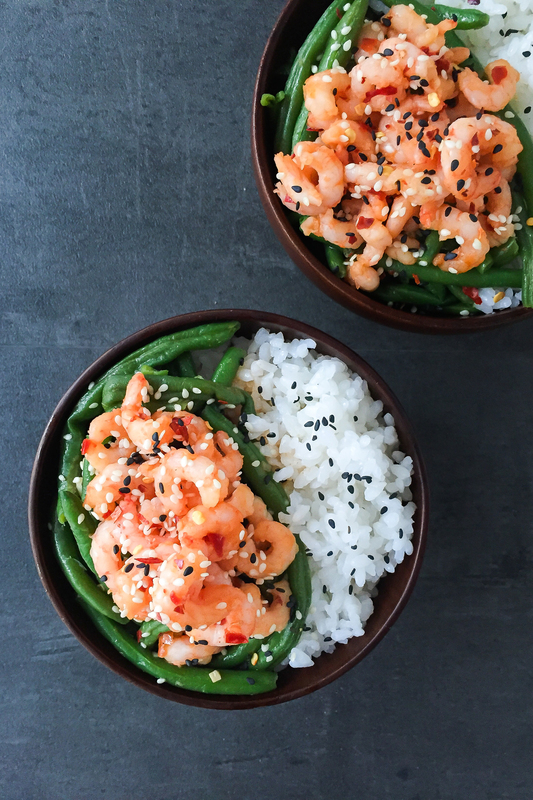 You can use both chili flakes or whole chilies. Blend the garlic and onion in a food processor to get a smooth paste and add it to the oil. Sizzle for 5 minutes or until the onion becomes lightly golden and translucent. Add the other spices ginger, turmeric, clove, and cumin stir well and sizzle for 1 minute. 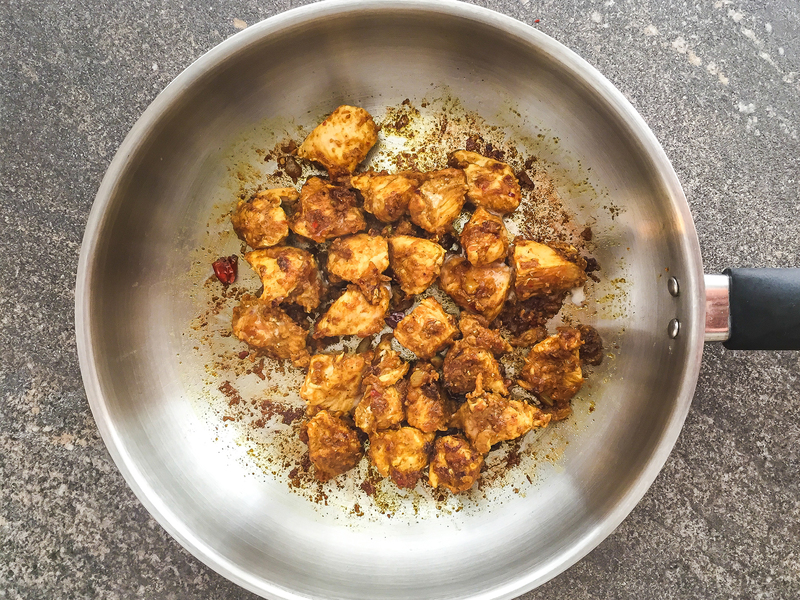 Add the chicken breast diced into cubes and cook for 5 minutes. 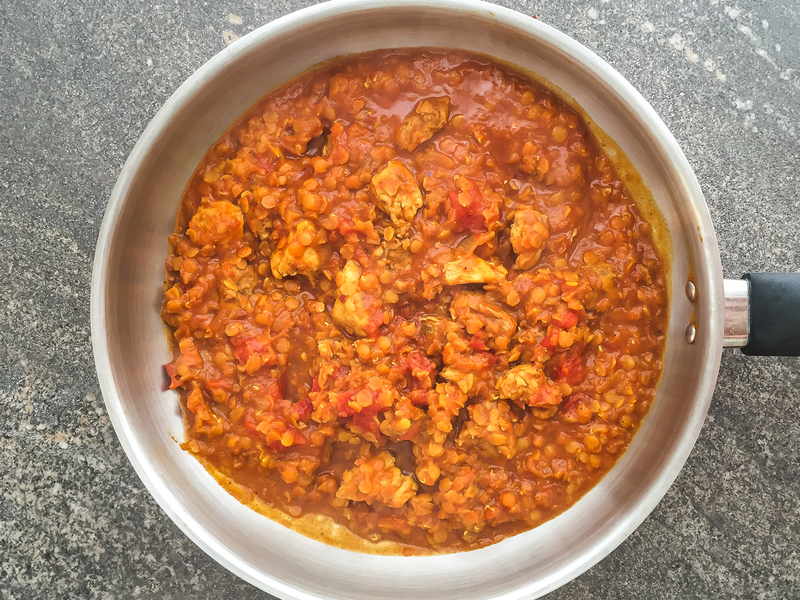 Add the dry red lentils and the tinned peeled plum tomatoes and mix well. Use the tomato tin to measure the same amount of water and pour it in the pan (1). Simmer for 25 minutes with the lid on at medium heat (2). 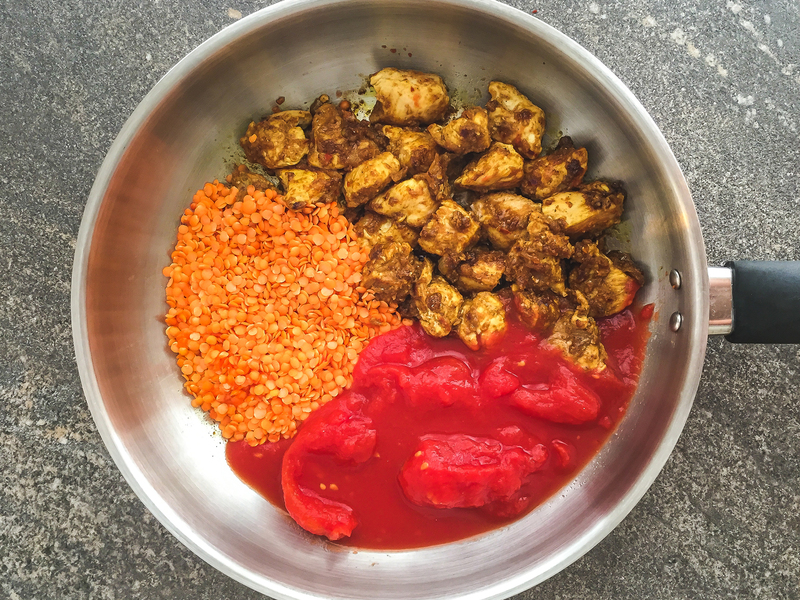 Cook until the lentils are soft and the chicken is tender. Aim for a creamy, runny texture and, if needed, add water during cooking time to reach the right consistency. 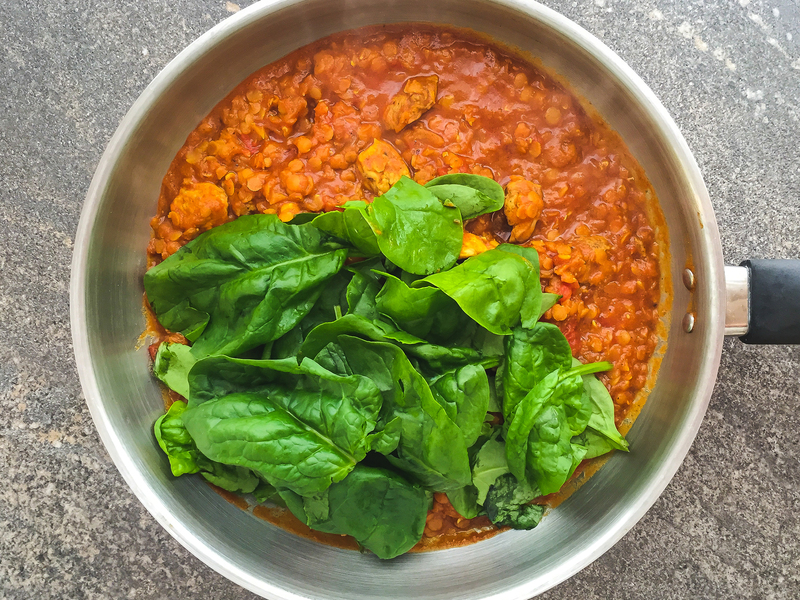 Wash and rinse the fresh spinach leaves and add them to pan with lentil and chicken (1). Stir and cook the spinach for 3 minutes or until wilted but not soggy. Season with salt as desired (2). Remove from the heat, sprinkle with fresh coriander and serve with wholemeal rice or naan bread. Enjoy this rich and nutritious classic chicken saag! 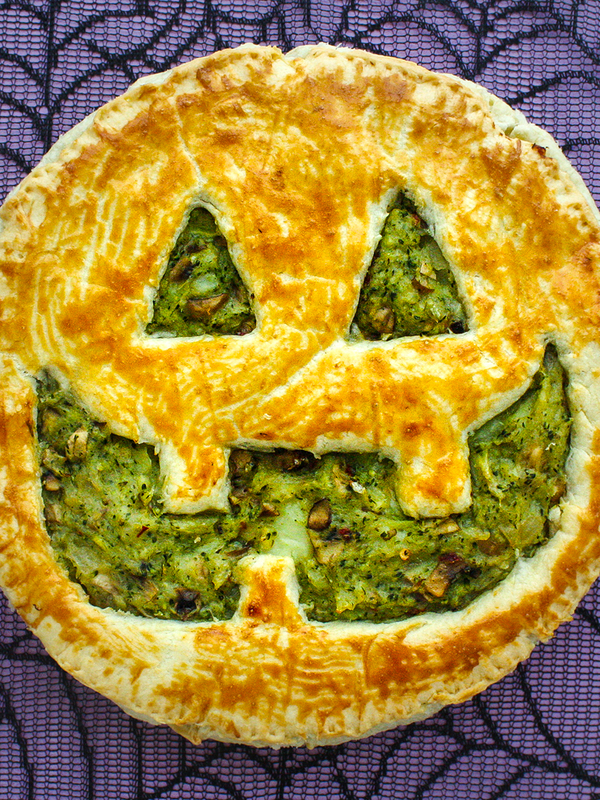 You can use frozen spinach if desired. Just boil them in a separate pan, drain and add to the pan with lentils and chicken a described in the recipe.